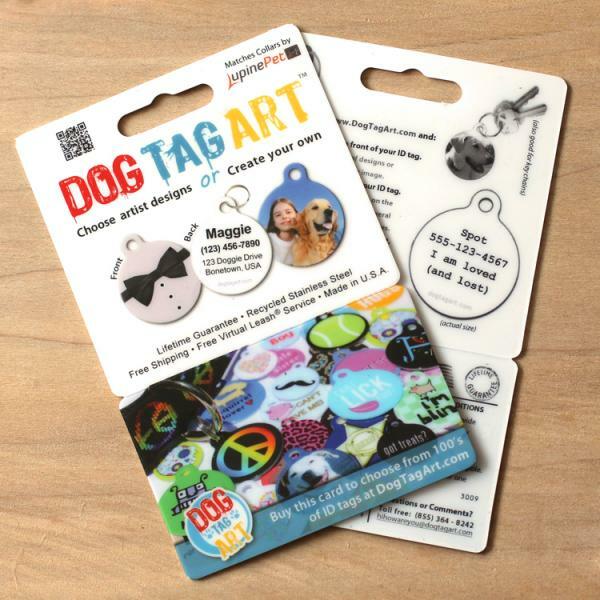 If you’re looking to show some love and appreciation for your favorite pet-parent, you can’t go wrong with a Dog Tag Art gift card! By giving one of our gift cards, you’re helping someone’s pet stay safe while looking incredibly stylish. Each gift card features a scratch-off coupon code redeemable for one pet identification tag, plus free shipping worldwide. We offer hundreds of tags to choose from, along with the ability to create a custom dog tag to suit even the most particular pooch.